Step aside shabby chic because there’s a new kid in town. Take a brief look around the world of interior design and its clear to see there’s a trend shifting away from the slightly contrived dressed down scruffiness of aged and marked furnishings to a more grown up, sleek industrial look sweeping across contemporary home interiors. And it’s fair to say, it’s long overdue. It now seems that hard wearing, functional materials that reveal there natural, organic appeal are back on the wishlist and its easy to see why. 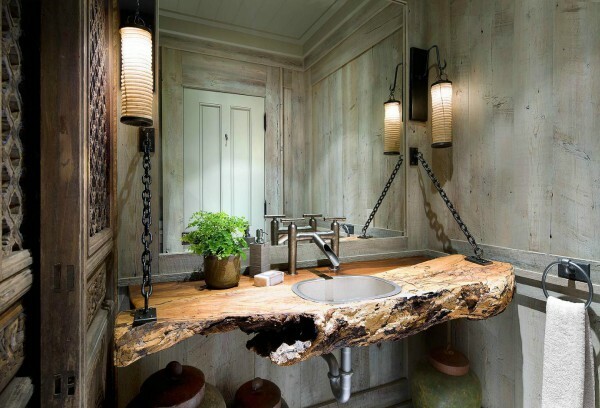 This rugged industrial look is neither artificial or pretentious - it’s a warts and all look that displays all sorts of materials in their rawest sense and we think it looks amazing. Before you gasp in horror at the thought of homes becoming warehouses or soulless, cold characterless spaces with no creature comforts, then think again. This looks is really starting to take off in homes from all eras and we think it has more legs that its shabby predecessor. Here’s some examples of just how easy this finish is to achieve and how great it can make a room look. Good old rugged clay bricks never fail to deliver when it comes to the ultimate feature wall. Where wallpapers and garish colours lose their appeal fairly quickly, brick is simply timeless. It compliments practically any other material you pair with it whether it be simple classic white shelving, modern kitchen units, metals, granites or plants. The organic and tactile appeal of exposed bricks just draws you to it. A simple exposed feature brick wall can give a room such a characterful, unique feel and it surprisingly adds warmth and depth. Whether is a straightforward exposed fireplace or a full length feature wall, it creates an effortless stylish industrial feel that rarely ever fails to impress. 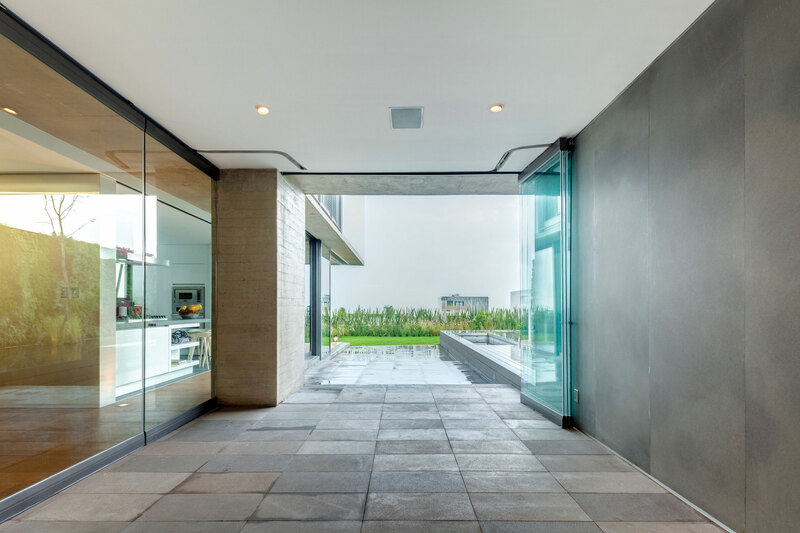 It may sound like a crazy idea but highly polished concrete is becoming a very popular choice for counter tops, walls and bathrooms. 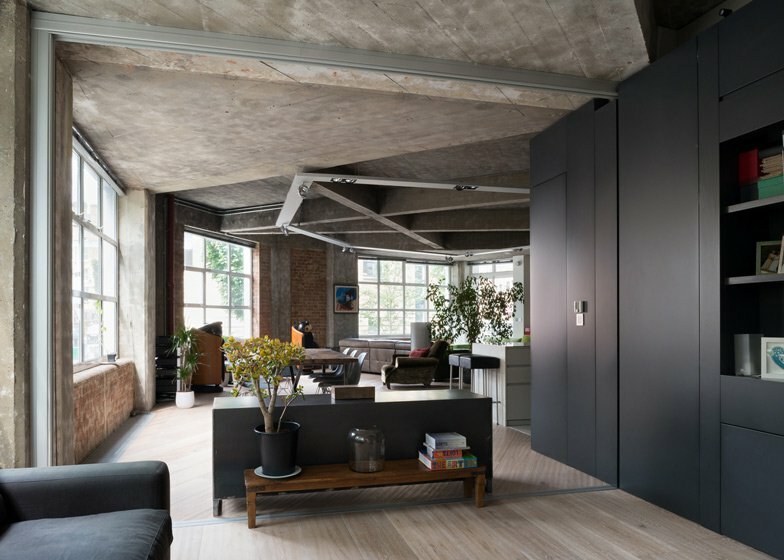 In modern inner city flats where brick construction was not used, poured concrete can be exposed and finished to give a fascinating and eye-catching look that has a variety of textures, tones and light altering qualities. Dark grey concrete may lack the natural coziness of warm red clay bricks but if paired with warm woods and rich coloured, opulent rugs and drapes, you suddenly have a look that is impossible not to like. To achieve a truly classic industrial look, you need to include metals somewhere in your finished theme. This subtle utilitarian statement works in rooms such as the bathroom with highly polished metal bath tubs, radiators, planters and accessories. This will give the room the ideal blend of a luxury high-end finish with period-style appeal. 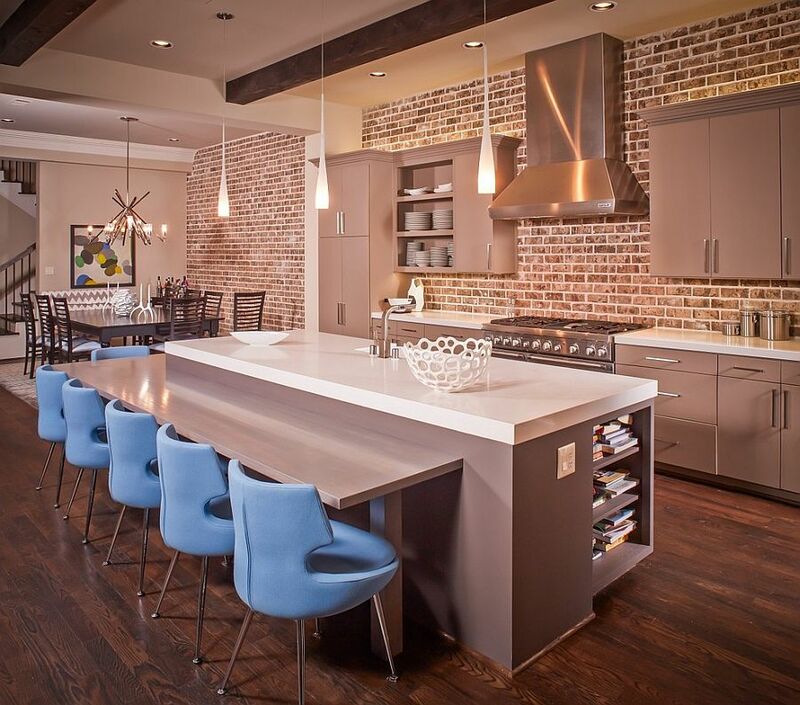 It’s the perfect harmony of old world charm and industrial chic. In the kitchen, you can blend coppers with woods to give a country kitchen a contemporary edge that is hard wearing, functional and a little more grown up. Some clever sparks even create shelving or light fixtures using simple copper plumbing pipes that really deliver a superb , unique look that is cost-effective and simple to do yourself. A simple change of floorings from carpets, laminates or rugs to a natural hard-wearing stone floor will add classic rustic charm - it may not strictly feel industrial but the agricultural look is just a stones throw away from its utilitarian industrial cousin. Pair it with some exposed brickwork, concrete or metals - and the look will swiftly transform away from country classic to industrial revolution. The key to achieving this new look is to allow your buildings structure to shine and show its organic, rugged beauty. Whilst shabby chic was all about the dressing and furnishings, an industrial interior is about the spaces and the structure. The final accessories and dressing then take that look to where it wants to go. By using industrial materials such as bricks, stones and metals, you’ll find it impossible not to achieve this intriguing and very much on-trend look. And if you’re not one wishing to leave your prized shabby look behind, don’t worry. You’ll find that you can easily marry your shabby furnishings with a new industrial interior quite easily, as the two styles have a lot in common and can be paired up without compromising on either style.